This seems to be the bleeding neck for most Real Estate Agents we speak with. Now, stop thinking for a second as someone who runs a business and switch to “customer mode”. Do you keep shopping around when you think you have found the PREFECT solution For You? Did you ever go for a product/service despite being more costly than others? Why did it happen? Your decision – as a customer – is based on the BENEFITS you get from the product or service you’re looking for. It relates to the additional VALUE that you feel you’re receiving. It depends on how much you believe that you will get better RESULTS from that product or service. Every time you receive more Benefits, Value and Results, whoever you are buying from becomes DIFFERENT to your eyes. That’s when pricing becomes less relevant in your decision as a customer. And that’s precisely what you, in your Real Estate business, need to do for your own Clients. Well, then see here the results of our simple research: we checked 50 different Irish Real Estate Websites and went through all the “About Us” and “What we do” pages. 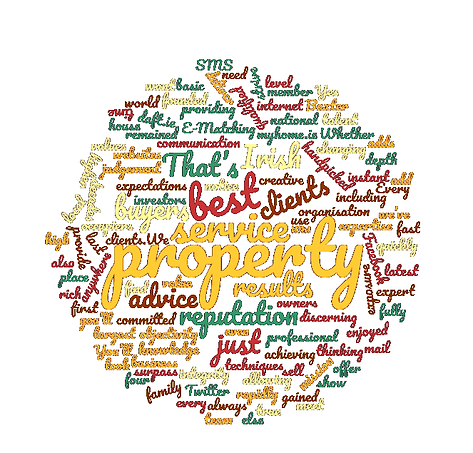 Essentially, we checked how Real Estates in Ireland present themselves to Sellers and what’s their message for them. Result? In the following Tag-Cloud you can read many different words. The bigger they are, the more frequently they are used on those websites. THE UNIQUE BENEFITS AND ACTUAL RESULTS THAT YOU CAN BRING TO THEM. If every Real Estate Agency says the same things ==> then prices and fees are the only important factor for Sellers when choosing who to hire. If you want to be noticed, if you want to go fast, if you want everyone to look at you, then you wouldn’t drive around with a grey Fiat Punto (no offence, that was my first car!). What you would need for that purpose is a shiny red Ferrari! 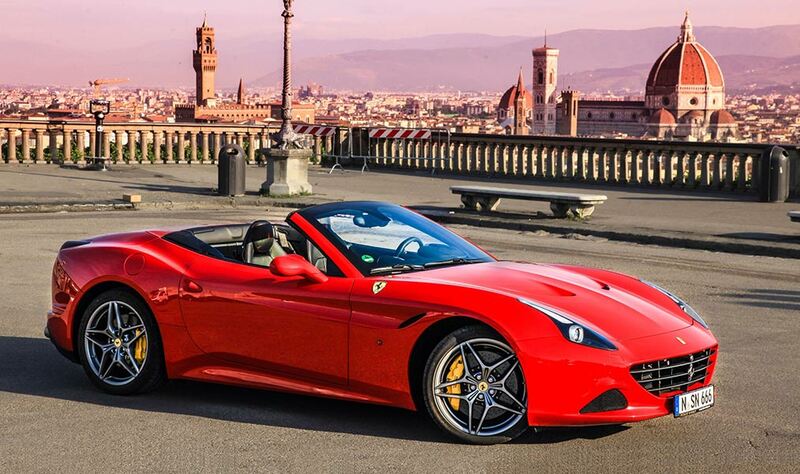 Would you like driving a Ferrari and bring every Seller on the passenger seat with you? That’s what 3D Tours are: they are the Ferrari of all the Visual Contents that you may use in your advertising activities. Don’t you think Sellers would love their property standing out from the crowd, being sold faster and with higher results? Buyers love 3D Tours so much that you can expect to receive up to 4 times more enquiries than for Listings with traditional photos. And more enquiries means more bids. More bids means faster sales at higher price. And higher price means a Happy Seller. And a Happy Seller means more Sellers to follow, more Listings, more Business. Here we’re talking about how you can DIFFERENTIATE your message for prospect Sellers. How YOU can make them believe that you can bring more VALUE and RESULTS than anyone else. How you can win a Listing, without talking only about FEES. Would you like to stand out from competition and stop battling on price only when negotiating a new mandate? Do you want your Agency to gain market shares and build a brand to protect your business today AND tomorrow? Do you want Sellers to think of YOU (because you’re different) when they’re ready to sell? We are now looking for few selected Agencies to work with, so that we can help you become DIFFERENT from your competitors.